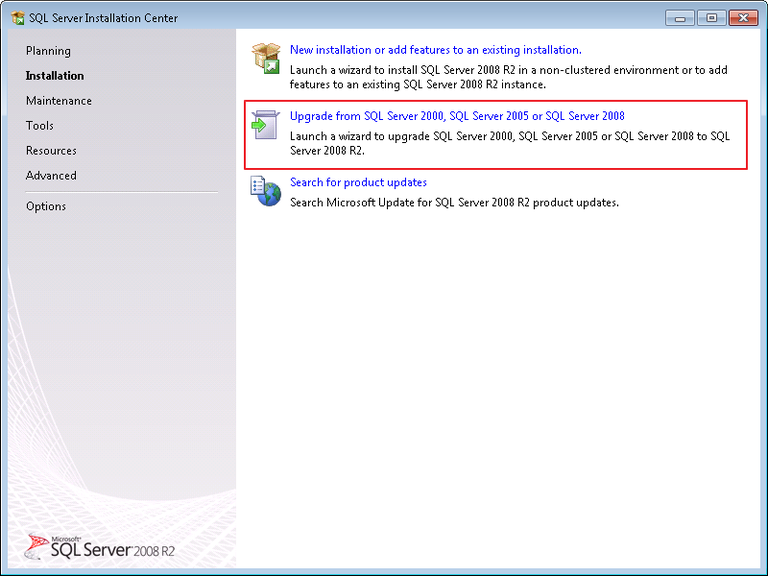 If you are using Microsoft SQL Server 2005, you may want to upgrade it on higher version. The reason can be the newer version of eWay-CRM that doesn't support Microsoft SQL Server 2005 anymore. In this case, you need to install Microsoft SQL Server 2008 R2 or higher. If the change is forced by the update of eWay-CRM, you will be informed about it by the warning dialog that will appear right after the launch of eWay-CRM. eWay-CRM doesn't allow you to relate the database that is created in Microsoft SQL Server 2005. Download Microsoft SQL Server 2008 R2 SP2 from https://www.microsoft.com/en-us/download/details.aspx?id=30438. Run the downloaded file. When the package is extracted, you will see the option for the upgrade. Click the upgrade option and then mark the I accept the license terms check box in the new dialog. Go on by Next. Select the instance you are using, it can be EWAYSQL. 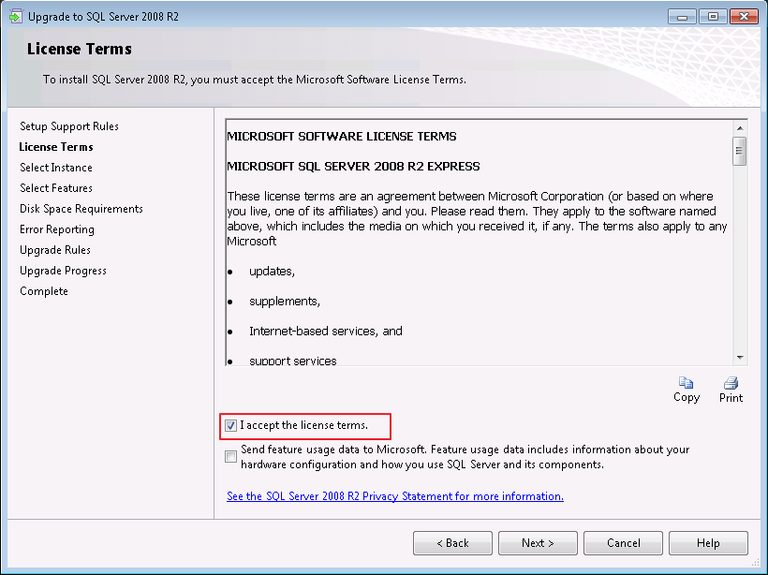 Confirm following dialogs and let the Microsoft SQL Server 2008 R2 proceed and complete successfully. Launch eWay-CRM. The system should connect with the upgraded database. If not, you will see the dialog to connect with the database manually. For more information, go to eWay-CRM Initialization dialog.